How many of you got to go to “Chasco Fiesta”? Even if you’ve lived here for a long time, and are starting to feel a certain sameness in it, year in and year out, it is still fun to attend. And if you were like me, getting to go for the first time, it makes it that much more enjoyable. But do you have one thing that is your favorite activity? Is it the parade? Or the (abundant!) food? How about that huge collection of restored cars that first Sunday afternoon? Maybe, like my wife, you like the arts and crafts booths. Or maybe you are a kid (or still one at heart) and would prefer to spend your time in the midway. With both Disney and Busch Gardens not far away, there may not be much excitement about the old standard rides on a carnival midway like there was when I was small. But there is still a certain joy about it. I was reminded of that one night when I was on my way home and drove on Main Street. It was dark, which meant that the ride you could see immediately was … the Ferris Wheel. I’ve always loved those because the lights make them look SO nice at night. And day or night, you can see a long ways as it reaches the top of its circle. They are still quite popular as well. My parents invited me to Myrtle Beach, South Carolina to bring in this new year a number of weeks back. By then, I had your divine call, and was beginning to look the details over. But I still thought it would be good to join them. Once we arrived, I noticed that along the ocean front, there was this giant Ferris wheel. Actually there were several along Myrtle Beach, but one that made a point of being open New Year’s Eve, right through midnight. For a time, my family even pondered going down there to be on one of the cars when midnight struck. I found out later that would have been impossible. While there were seats available for times before midnight and the short time they stay open after midnight, the seats to bring in the new year are sold weeks in advance. 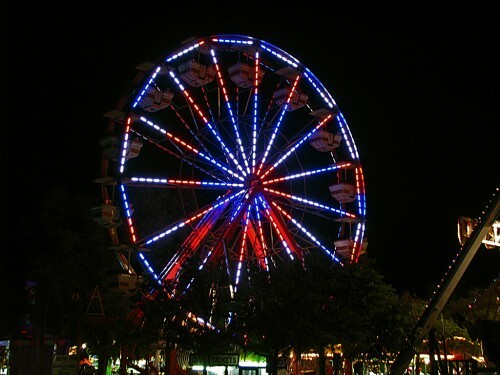 Imagine that – a sold-out Ferris wheel. But why not? Even if it is dark, especially out over the ocean, few things tell us to celebrate – even from a long distance, than a well-lit Ferris wheel. Though admittedly, not always. Whenever I think of a Ferris wheel, I also think of my adopted brother, one of three my parents adopted as foster parents, a labor of love they recently retired from. Admittedly, two of them have now gone to the Lord, including this oldest one. He was my parent’s first foster child, dating back to my teenage years when we lived in Iowa. He lived his life severely mentally handicapped. Eventually, ‘Caleb’ lived out his years at a facility of loving care-givers in Davenport, Iowa, near my mother’s sister. One day almost ten years ago, the facility decided to take him and over one hundred others in that facility to a carnival that had come to town – one I also had been to a time or two in years past. Someone came up with the idea of letting them ride the Ferris wheel. Well, if you watch the national news, or now even shows about spectacular rescues, you may have seen what happened. Gratefully, he was not seriously injured. In my final Fall in Illinois, back in 2012, he was called home to his Savior. I took several trips to see him, and was there when he died. Family, friends, and of course those facility workers still talk about his time on the Ferris wheel. For the rest of my life, I will always link the two, understanding that Caleb now has a better view of life than He ever could have had here, on – or off a Ferris wheel. 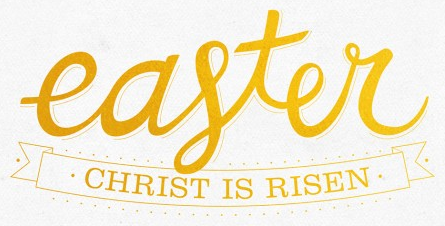 Friends, this is the Easter season, a time of joy. And a time to remember the view our Savior had – one from a cross – to win us that salvation. Believe it or not, the Ferris wheel and the cross have some things in common. While both try to light the world, they also show you the utter darkness that is in the world. Both have become a symbol to what they represent, something you can both see and understand. And both mean nothing without someone on them. Let me conclude this way. As my moving truck drove south out of Illinois a few months after Caleb’s death, I happened by an old gas station where there was an old Ferris wheel laying out in the weeds, obviously abandoned a long time ago. It looked old, decrepit, and useless. And yet, as my mind wandered to Caleb, I couldn’t help but think of all the joy given to many, but all the attention paid to one, that one Ferris wheel must have provided. Sure does sound like the cross, doesn’t it? The cross our Lord defeated when He rose from the dead. PEACE!! !